Custom Built Club Car 2 Pass. 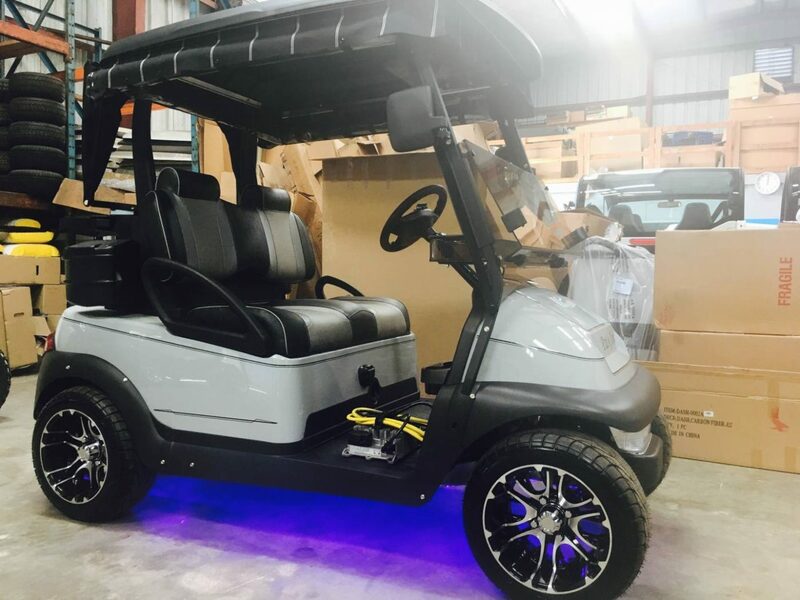 Custom Built Club Car 2 Pass.Gray, black top, upgraded curtains, upgraded black & gray seats sand bucket, bag holder, tented windshield, fold out mirrors, upgraded tire/wheels, under carriage lights. Stop in and build your cart today! !